Easter Lollipop Pack file. This SVG file is perfect for your cutting machine. The svg file is an easy to cut out design to make all your pages come together quickly! 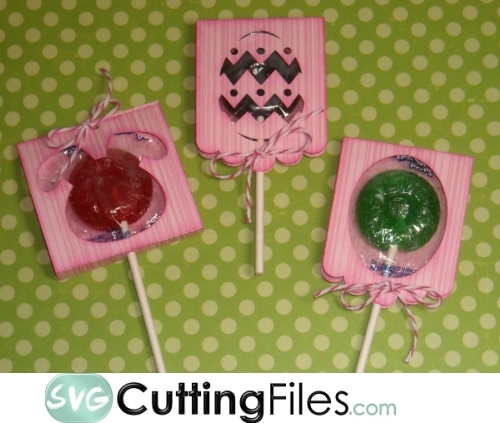 Comes with 3 different Lollipop Covers... super sweet to add some fun and creativity to your baskets this year. 1" circle registration included in file. This file is also included in our Bunny Themed Pack, for discounted savings, get the WHOLE set! !